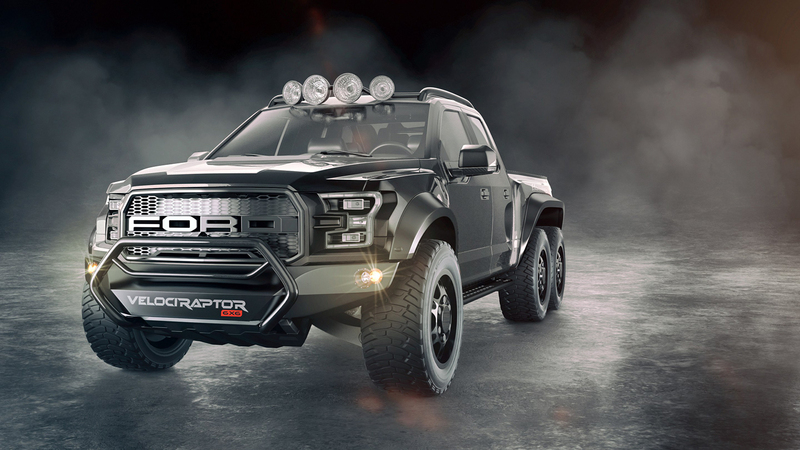 There are no limits involved here when dealing with heavy and the strangest or most outstanding projects carried out on a massive pickup truck like the Ford F-150, but it seems that the folks from Hennessey shop have done it again. 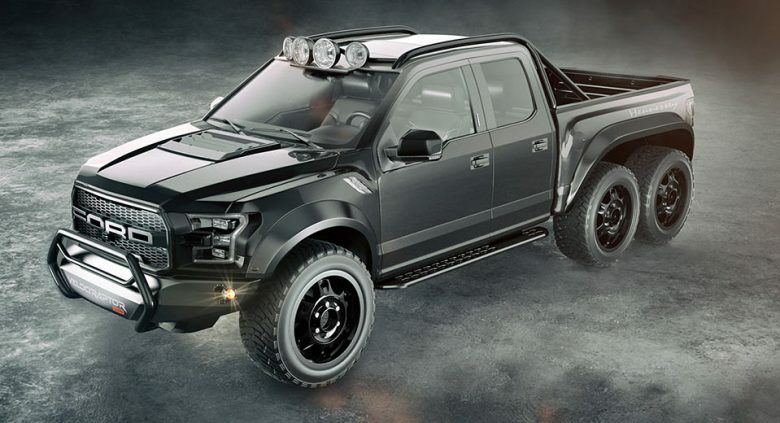 Hennessey is thus following Kahn tuner, another leading shop in the aftermarket world, to build an almost entirely new ride with an extremely wide and aggressive body styling and new mechanics, and after Kahn`s 6×6 Flying Huntsman, the 6×6 Ford F-150 is indeed a piece of engineering; at least this is I would call it. 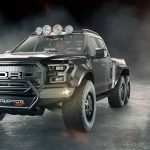 Even if the tuner`s new work is still in progress, two leaked images with its latest project involving the F-150 have been recently emerged on the web, the project looking almighty and involving the fitting of the same 6×6 displacement as we the 6×6 Flying Huntsman. As for the car`s styling and judging by the images below, the Hennessey`s new project is indeed daring, the model being tweaked with LED lights, custom and updated rollbar, custom-built front and rear bumpers, massive 20-inch alloys in off-road tires, Baja-spec Fox suspension and more. 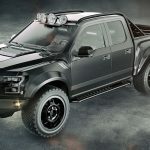 As TopGear stated a couple of days back, the Hennessey tuner is planning to fit the 6×6 Ford F-150 with the 3.5-liter EcoBoost twin-turbo V6 engine, the same found on the stock version, developing 450 horsepower and 691 Nm of torque, leaving enough room for future upgrades up to 600 horsepower, in case you can`t settle with the stock torque. And since tuners now provide complete tuning projects which exceed even our wildest imagination, it wouldn’t be a strange thing for tuner to add even more outstanding styling and mechanic bits to this gorgeous lad here!